It's supposed to be spring but I beg to differ. CT is effing cold and for next week we're expecting snow. But for now, I am trying to pretend that outfits like these keep me warm enough. I'm really loving these the thrifted jeans and belt combo I got when I was in St. Pete, FL. Revolve has something for everyone and I was in thrift store bliss when I discovered these two items. I have yet to find high waist jeans that hug my booty in all the right ways. Usually there's still some space towards the bottom which makes me feel I'm lacking back there :( But these are a dream. They've pretty much convinced me that I don't have time for low rise anymore. 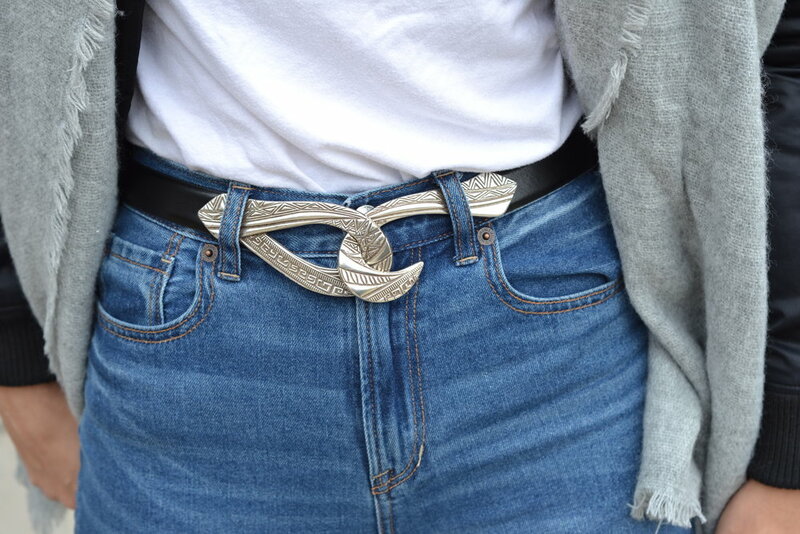 And a girl could always use another statement belt. My other is falling apart so this one saved the day!